We live in a rapidly changing lifestyle where diversity plays a huge part in our daily life. People are choosing to wear the clothing that can be worn to fit any occasion. In order to fit for this purpose, fashion clothes designers are focusing on comfort and the freedom of mobility, super-versatility of designer garments. Damask labels are soft fabric, and can achieve the most intricate details. 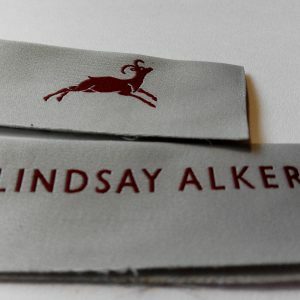 Damask woven labels can be used in a wide range of textile products. Perfect Labels Lanyards has taken unique textile technology and innovation in clothes labels production and applied it to all range of woven clothing labels. Majority of famous brands are using damask woven labels for their brand garment labels. The consulting service by our specialist design team, is available to study and analyze the label design of your brand product. 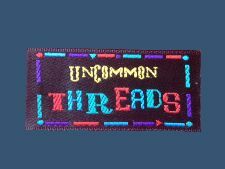 Our woven clothing labels design team is there to ensure to create original, unique brand clothes labels. Contact us today to start customize your brand label. Send your design artwork to below email, we will get back to you within 30 minutes with a quote.